Why should we pray? Here's the short answer: because Jesus told us to. In Luke 18:1 we read, "Then [Jesus] spoke a parable to them, that men always ought to pray and not lose heart." Of course, Jesus himself provided us with an example. Though He was God in human form, Jesus had a very deep prayer life. 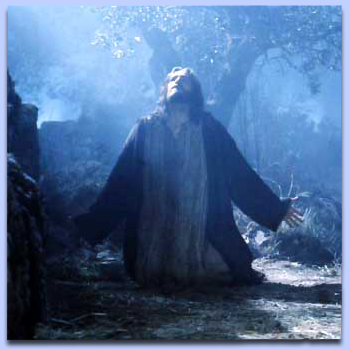 In the Garden of Gethsemane, Jesus prayed, "O My Father, if it is possible, let this cup pass from Me; nevertheless, not as I will, but as You will" (Matthew 26:39). On the cross, Jesus started with a prayer: "Father, forgive them, for they do not know what they do" (Luke 23:34). Prior to raising Lazarus from the dead, Jesus first spoke to God the Father. Looking up to Heaven, He said, "Father, I thank You that You have heard Me. And I know that You always hear Me, but because of the people who are standing by I said this, that they may believe that You sent Me" (John 11:42–43). Then He shouted, "Lazarus, come forth!" Before Jesus fed the five thousand, we read that He looked up toward Heaven and asked God's blessing on the food (see Matthew 14:19). And why did the mothers bring their little children to Jesus? So He would pray for them (see Matthew 19:13).